Dennis Prager is one of the most respected and influential thinkers, writers, and speakers in America. First, he is a nationally syndicated talk show host – heard across the country on nearly 400 affiliates, in addition to TuneIn.com, iHeartRadio.com, and the websites of his many radio stations. His show also has listeners around the world via the internet. 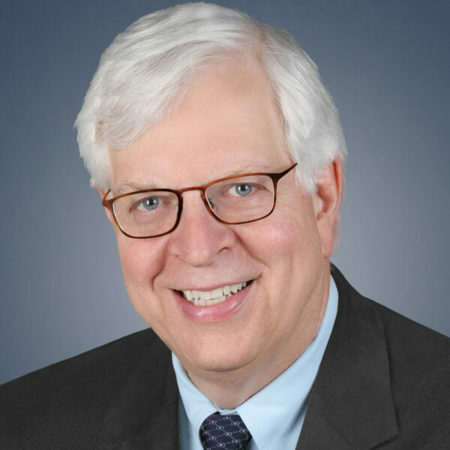 Second, he is the founder of Prager University (PragerU) – the most viewed conservative video site in the world, with one billion views a year, more than half by people under the age of 35. Third, he is a Renaissance Man. He is a New York Times bestselling author of nine books on subjects as varied as religion, happiness, morality, the left, Islamism, and America. He is a life-long theologian. His most recent book, The Rational Bible, is the first volume of his five-volume commentary on the first five books of the Bible – rooted in his extensive knowledge of biblical Hebrew. It is currently the bestselling Bible commentary in America, and at publication was the #1 bestselling non-fiction book in the United States. He periodically conducts symphony orchestras, including twice at the Walt Disney Concert Hall, where he most recently conducted the Mormon Tabernacle Choir. He has travelled to more than 130 countries and has lectured on all the world’s continents. An expert on communism, the Middle East, and the left, he did his graduate work at the Russian and Middle East Institutes of the Columbia University School of International Affairs. He taught Russian and Jewish history at Brooklyn College. He is deeply passionate about preserving America, the West, and the Judeo-Christian value system – yet he may well be the calmest voice in radio. Most important, he has a personal bond with many of his millions of listeners, which is why over 500 listeners travel with him to Israel every other year, and thousands have travelled with him everywhere from Antarctica to West Africa to Vietnam and the Panama Canal on his sold-out listener cruises every year for the last quarter-century. Finally, there are no hours on American radio like his weekly Happiness Hour, Ultimate Issues Hour, and Male-Female Hour. In short, when Dennis Prager speaks, America listens.